EXCELLENT OPPORTUNITY TO TRAVEL FOR FREE! CHECK OUT THE NEW TOUR SITE! Check out this well researched summary on the world's top Emerging Market Brazil. 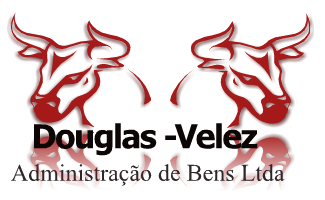 Thoroughly read this article, download the free PDF file case study at the bottom, and check out the other articles on this website and you will have a complete understanding of the economic potential and infrastructure of Brazil. 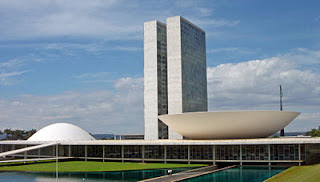 No longer the “Country of the Future”… Brazil emerges as the “Country of the Present”. For a number of years, Brazil has been considered the “Country of the Future” due to its geographical size, growing population and abundant resources. Historically Brazil continued to live up to this long standing reputation as the “Country of Future”, as it remained plagued by poor economic conditions, political instability, poverty as well as immense socioeconomical and bureaucratic challenges. In 1994, the governmental and business leaders launched a set of measures to stabilize the economy which, have resulted in Brazil securing a position as one of the top 10 largest economies in the world, an investment grade credit rating on its sovereign debt, and has set the stage for sustainable long-term growth for years ahead. Today, Brazil is now positioned as the “Country of the Future” and is rapidly becoming one of the world’s economic powerhouses. RIO DE JANEIRO, BRAZIL – It’s one of Rio’s biggest challenges before the start of the World Cup of 2014 and the Olympic Games of 2016: the transformation and urbanization of the city’s favelas (slums) while simultaneously pacifying them with the special UPP police force unit. Urbanization plan for Penha, photo Divulgação. The government plans to invest US$600 million remodeling the favelas at the Complexo do Alemão and Complexo da Penha’s Vila Cruzeiro. Last month these two hillsides in Rio’s Zona Norte (North zone) were the scene of some of the worst violent episodes Rio has seen in recent memory. The army and police now claim to have restored order, and now it’s time for the new phase of remodeling and development. In the wake of the city-wide violence and global media attention, Rio’s mayor Eduardo Paes announced the construction of 600 houses, 19 creches, five health clinics, a library, a garden, a cinema and a completely renewed infrastructure for this are of Zona Norte. It’s all part of a bigger program named PAC 2, Brazil’s Growth Acceleration Program 2. A plan initiated by federal government to build US$800 billion worth of infrastructure between now and 2016 as the second phase of an economic stimulus program whose first phase has yet to be completed. PAC 2 presentation photo by Ministerio de Educação/Wikimedia Creative Commons License. Apart from remodeling Alemão and Penha, PAC 2 also entails a six kilometer long monorail linking the heart of Tijuca, the Praça Saens Peña, to the favelas Salgueiro, Formiga and Borel. However, overhauling the favelas won’t be exclusive to Zona Norte, Rio plans to have all, almost 600, inner-city favelas redesigned and improved. Rio’s largest favela, Rocinha in the Zona Sul (South zone) which already benefited from PAC 1, will get a 2.5 km high cable-car which will eventually hook up the favela with the future metro line Barra – Zona Sul. Other favelas that will benefit from the billion dollar project are Mangueira, Cidade de Deus, Batam, Juramento, Rio das Pedras and Favela Kelsons. Some community leaders wonder if installing cable cars, monorails and swimming pools will be effective, and critics warn that it could all end up in a superficial makeover. The fear is that all plans will result in failure without major investment in education and job creation for residents of the favelas. During the presentation of PAC 2 earlier this year, President Lula recognized the bureaucratic shackles that are delaying PAC 1 projects. After more than three years, just a little over 50 percent of the scheduled projects have been completed. Last week however, Lula said 82 percent will be finished by the end of this year.